Would you like to improve your team’s productivity by 10x? Fancy saving thousands of dollars spent on customer support? If yes, then read on. Let me show you how you take your team/business to the next level with your new best buddy, Helpie Knowledgebase plugin. Helpie is designed so that you can easily find, add, organize and share information across your teams and users. Having said that, it also gives content the utmost importance. Below are some of the key highlights that make Helpie stand out from the pool of knowledge bases products out there. 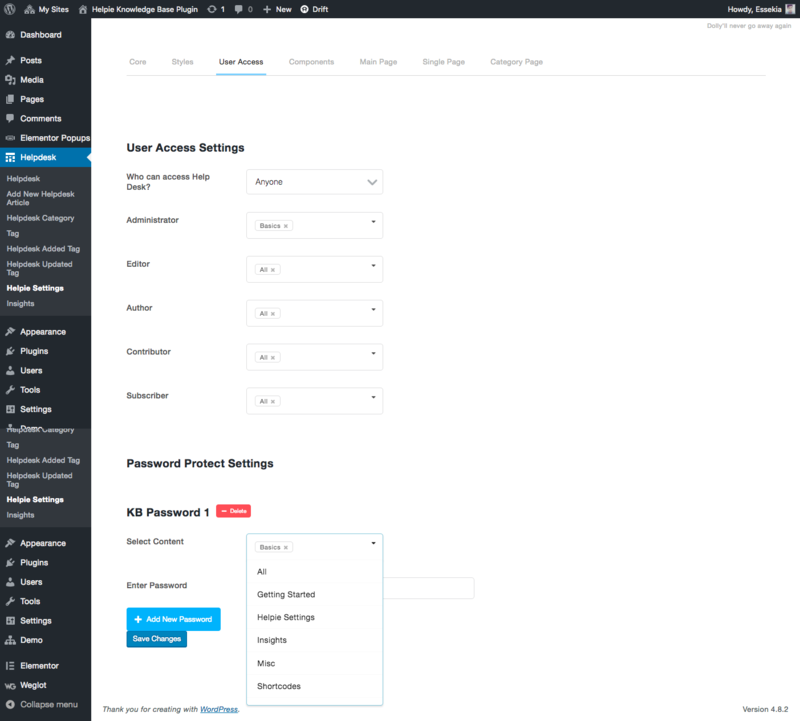 All users having appropriate access roles can add their learnings into the KB using the frontend editor, without having to see or work through the WordPress dashboard. Let us say you are using Helpie within your team, to track frequent problems and their fixes. Using Helpie will ensure that anyone can solve problems. Let us again say that after a while a new person joins your team and is using the article on the KB to fix the problem. If he finds some irrelevant content, it can be modified then and there, keeping the KB up to date at all times without having to work through the WordPress Dashboards. 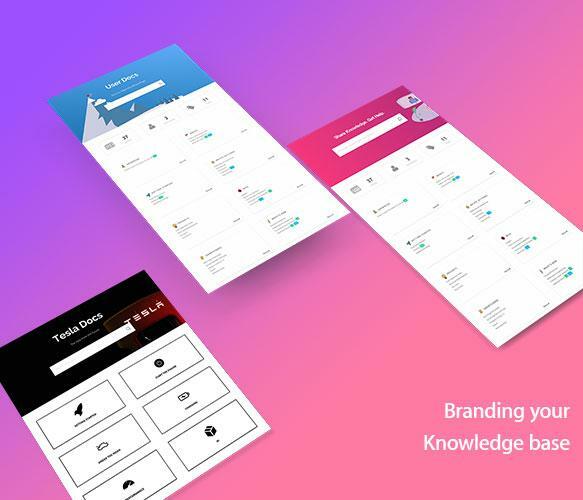 Being able to quickly find the information we need is the essence of having a knowledge base, and Helpie understands that. Helpie’s fast and powerful search gives you the most relevant suggestions and results in a flash. The team is proud of their exceptional result sorting and ranking algorithm which makes this high performance possible. Helpie has a wide range of styling features using which you can seamlessly integrate it with your site’s existing branding/style. It gels so well that people won’t be able to tell that you are using a separate plugin for your knowledge base. 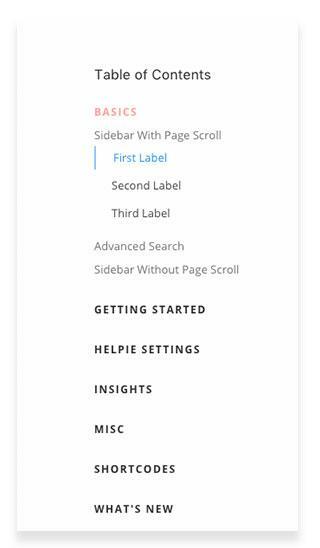 There are five sidebar options for the KB main page which let you integrate your website seamlessly with Helpie. Many other main page modules have specific options for you to tweak them. The categories list, for example, has 3 different types and many more styles are to be added in future updates. The Hero section of the KB’s main page is feature packed; you can add background images, gradients, and image with gradient backgrounds, etc… You can also remove the Hero Section if need be. Even after having a great search functionality, Helpie’s developers have ensured that readability does not take the backseat. The articles are easy to navigate and read with the Table of Contents automatically generated based on the heading tags ( h1, h2, h3, etc. ) in the article. It just works like magic. The TOC sits on the left-hand side of all KB pages by default which you can change to sync it with your website. You can customise the Table of Contents to help your users navigate the entire Knowledge Base wiki or just the current article. 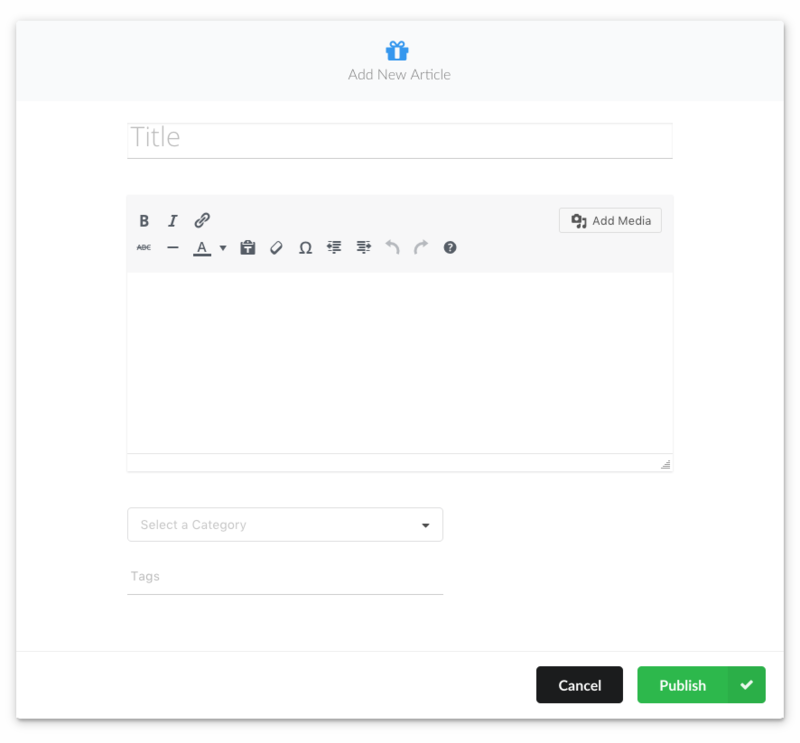 There are even more powerful features inside automatic TOC which you can try out by creating a demo website. You decide who all can see, edit or submit articles. The access to view the knowledge base can be left open to all or you can set it to require a login. User role-based access control can be used to give access/lockout user groups from specific topics. The number of user roles that will be available depends on your WordPress site and the plugins you have installed. You can use a free user role plugin to add additional user roles and assign them specific topics. Most happy/unhappy users: Find out who your most happy and most unhappy users. Then you can talk to them and fix their issues. Most startups find their most happy/unhappy users as the best source of feedback where lies the maximum opportunities to improve. You definitely would not want to miss out on that. Most useful/not useful articles: This shows you the area that generates most number of support tickets. Fixing the most “not-useful” articles will result in significant reduction of the number of support tickets. You can take a leaf out of the articles voted as most useful articles, replicate the style and tone of writing. Search keywords by frequency: Finding your users’ search patterns lead to new insights. It will point you to features that users have trouble using or understanding. Based on this insight, you could consider improving your UX in that area. Overall User Happiness Score: This is a comprehensive evaluation of the success of your knowledge base. You can use this as the north star for all your knowledge base efforts, the higher the happiness score, the better. Helpie values customer feedback and leaves no stone unturned to capture the maximum possible feedback from users. Classic Article Voting: Your users can either thumbs-up or thumbs-down your article, which is especially useful for documentation, procedures, guides, etc. where you assess the helpfulness of the article. Emotion Article Voting (emo-voting): In case you need to get feedback on how your users feel about a suggestion, idea or a proposal, you can use the emo-voting option. With emo-voting, your users can ‘heart,’ ‘smile,’ ‘meh’ or ‘frown’ at your suggestion. Emo-voting helps you get a quick assessment of their emotional response. You can use the shortcodes to recreate the below pages wherever you deem fit. The Helpie docs website ( helpie.pauple.com/docs/ ) has an exhaustive list of shortcodes and instructions on how to use them. They are continuously working on more shortcode modules. Helpie supports its customers via email and the live chat on Helpie website. So if you ever get stuck using Helpie, don’t worry, help is right around the corner. Most of our customers have rated Helpie’s support as its best feature. Helpie is your one-stop shop to find, create, collaborate, organize and share knowledge. Increase your Return On Investment by helping your users find answers to their problems without your or your customer support executives’ help. Save valuable hours of time spent by your team on support and help them become even more productive. 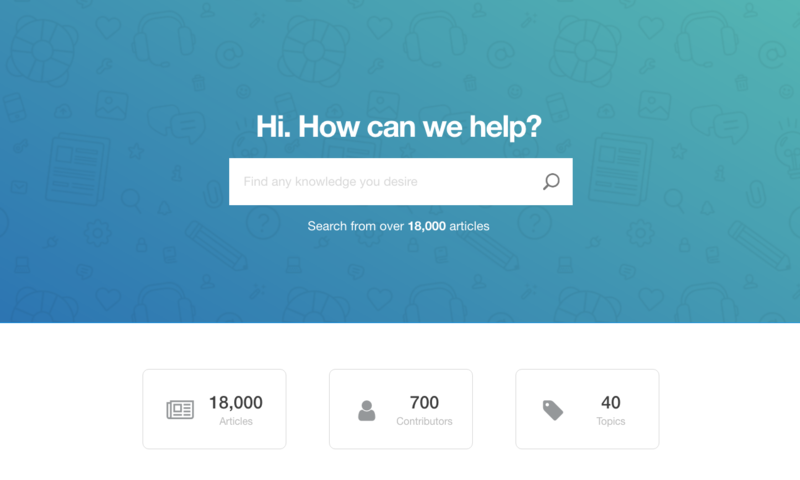 Try out Helpie WordPress Knowledgebase for free now!